We are different, let us prove it! Thanks for stopping by River Front Chrysler Jeep Dodge Ram’s new website. It was designed to serve as a powerful resource for drivers. Whether you’re in the market for a brand-new vehicle, quality used car, or professional service for the one you’re driving now, let us assist you. If you looking to buy or a lease a new 2018 or 2019 Chrysler, Jeep, Dodge, Ram trucks or Promaster vans and you want a hassle free experience; you’ve landed at the right place. For nearly 30 years this family owned and operated dealership has been assisting drivers from North Aurora, Aurora, St. Charles, Batavia and Sugar Grove find the new vehicle they want at a price that meets their needs. We believe all good relationships are founded on trust and integrity. Dealership President, Bill McSkimming says, “We’re fully transparent. Everyone on my team works hard to provide our customers with the best possible car buying and servicing experience possible. Our goal is to provide our customers with a higher level of service than other dealerships; while maintaining better pricing. Passion and proficiency are what you’ll find from the staff. Many of the employees have been at the store for over 20 years. “We love what we do and it shows, say General Sales Manager, Paul McSkimming. To get started, navigate to our new inventory page. There, you’ll be able to view our entire selection of vehicles. Browse by year, make, model, and more to refine your search. We have one of the best inventories of new vehicles in the western suburbs. Just like our inventory of new vehicles, buyers from Naperville, Elgin, Oswego Montgomery and Chicago can shop our collection of used and pre-owned models online. When you see a vehicle you like, click on it to discover more details about the vehicle like additional options and photos. Then, estimate your monthly payments or schedule a test drive to learn more about the car. Business owners should visit our Businesslink center. Need a single unit to a fleet our Ram Trucks and Promaster vans will move your business. From an oil change to a major engine repair, the technicians at River Front Chrysler Jeep Dodge Ram can take on whatever service or repairs your vehicle needs. With years of industry experience and ongoing hands-on training, we’ll not only repair your vehicle correctly the first time, we’ll do it quickly so you can get back behind the wheel. departments have Saturday hours, a free shuttle service, early bird drop-off, free Wi-Fi, and the use of genuine Mopar parts when repairing your vehicle. We provide loaner cars for warranty work and rental cars on site. Schedule your appointment online now. 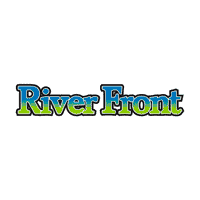 River Front offers Express Lane Service, Saturday service, complimentary shuttle service, loaner cars for warranty work and rental cars on site. If you’re a business owner or use a company vehicle ask about our BusinessLink program. Se Habla Espanol.